For the past five years I have organised and hosted numerous study tours for educators and designers – both outbound (to Eu/UK) an inbound tour for North Americans (to AU/NZ). I am excited to organise the first CEFPI Australasia Regional Tour to Europe early 2016. Copenhagen is known for style and design. Hellerup School has distinctive features include a central auditorium-style stairway, which also acts as an informal meeting place. It has a mix of large and small rooms to allow individual and group work and its staff mostly teach in teams. The design was a collaboration between Jens Guldbaek from the architecture firm LOOP, educators and the wider school community. Also in this city is a new urban development at Orested, with its striking school. The Senior College, Primary and Middle School. along with the community’s library has been co-located. The Senior College, or “Gymnasium” was designed by 3XN. Communication, interaction and synergy were characteristics of the design brief. The intention was to provide an environment that enables the students’ abilities gradually to take responsibility for own learning, able to work in teams as well as working individually. Kunskapsskolan – A system of more than 30 Swedish free schools, which has now expanded to UK, US and India. Kenneth Gärdestad, chief architect, has been responsible for the designing and reshaping of all buildings since the start of Kunskapsskolan. The schools are modern and innovative, open, inviting and spacious. They are characterised by bright colours, natural light and an abundance of glass. Design Factory at Aalto University …is the symbiosis of the state-of-the-art conceptual thinking and cross-disciplinary hands-on doing. It leads a way towards a paradigm shift in education and business by providing a constantly developing collaboration environment for students, researchers and business practitioners. The Design Factory seeks to develop creative ways of working enabling interdisciplinary interaction to support world-class product design in educational, research and practical application contexts. The mission is to develop a passion-based student-centric learning culture for the Aalto University. Libraries – Two libraries in one country. The beautiful town of Delft is less than an hour by train from Amsterdam. The city is known for its historic town centre with canals, Delft Blue pottery, painter Johannes Vermeer and the Delft University of Technology (TU Delft). The university commissioned Mecanoo to design a library that would be the heart of the university. Nearby in the heart of Delft is DOK, the community library, part of a building that was formerly a blast-furnace and then a supermarket. The design includes a glass roof that runs the entire width. The library calls itself a ‘library concept centre’ which is evident in design and layout as well as in the organisation of the library’s activities. 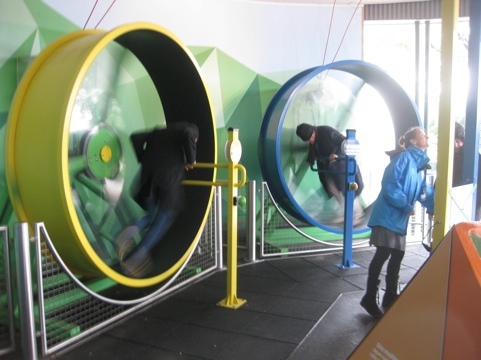 Science centres and museums – What happens when we are free to explore, become distracted and inquisitive. Some of the best museums and science centres in the world attract learners of all ages with exciting exhibitions and hands on learning experiences. 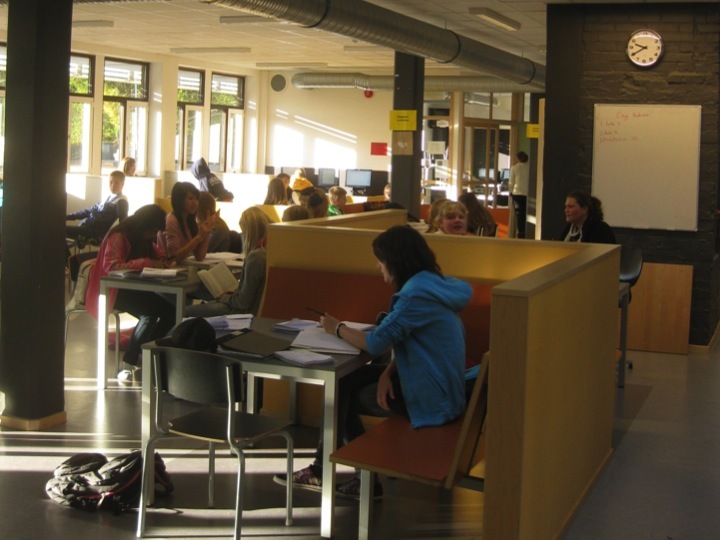 What would happen if school learning became more like these active learning environments. National Aquarium Denmark, Den Blå Planet, designed by 3XN, was awarded 2013 RIBA European prize. 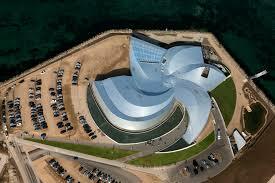 The architecture was inspired by the circulating currents of the whirlpool. From the entrance, the visitor steps into the vortex of the whirlpool – the round lobby – and is drawn inside the spiral towards the 53 aquariums and installations. Nemo Science Centre in Amsterdam was designed by Renzo Piano, and is an excellent example of science learning fun. It is located within the renewal of Oosterdok, East Dock. It contains five floors of hands-on science exhibitions and is the largest science centre in the Netherlands. It attracts annually over 500,000 visitors. Heuraka Science Centre is run by the Finnish Science Centre Association. Its mission is to share enthusiasm for learning within an environment for inspiration, with world class exhibitions and visitor experience. 2. Visit the Events page on the CEFPI website and scroll down to: CEFPI Study Tour 2016. My contact details are there for any questions.